IAS Application Form 2018: CS (Mains) DAF Submission Begins!!! Candidates qualified the UPSC IAS Preliminary examination can now fill up the UPSC IAS Application Form. UPSC Civil Services Mains examination is scheduled to be held from 28-09-2018. 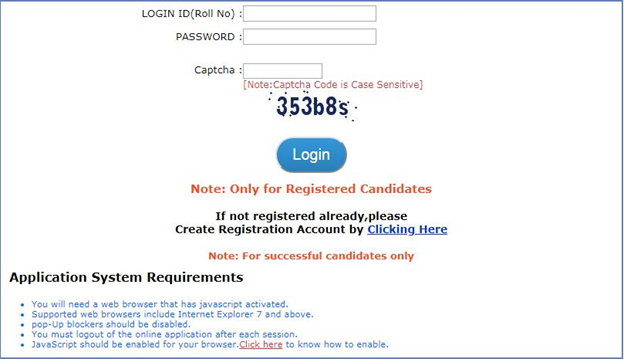 To submit the UPSC IAS Online application form candidates need to visit the official website i.e. upsc.gov.in. According to the latest IAS Notification, candidates can submit their online IAS Application Form 2018-19 till 06-08-2018. UPSC IAS Notification is out now!! Fill UPSC IAS Application Form with the help of this page and then be ready to appear in IAS Civil Service Exam. Indian Postal Service, Gr. ‘A. In order to appear in the UPSC IASExam 2018, candidates have to meet the IAS Eligibility first and then go for the IASExam Form 2018. (a) For the Indian Administrative Service and the Indian Police Service, a candidate must be a citizen of India. (d) a person of Indian origin who has migrated from Pakistan, Burma, Sri Lanka, East African countries of Kenya, Uganda, the United Republic of Tanzania, Zambia, Malawi, Zaire, Ethiopia and Vietnam with the intention of permanently settling in India. Candidates must hold any degree of any of recognized university or institute. Candidates appearing for their final year degree exam are also eligible to apply for UPSC IAS 2018. Candidates with professional and technical qualifications are able to fill the Civil Service Online Application form. Candidates who have passed final year of MBBS exam but are yet to complete internship can apply for UPSC IAS prelim exam. Disabled servicemen, disabled from duty. Candidates who want to fill IAS Application Form, are required to pay Rs. 100/- (Rupees One Hundred only) through the medium of Visa/Master/RuPay Credit/Debit Card or by using Internet Banking of SBI. Female/SC/ST/Persons with Benchmark Disability Candidates are exempted from any payment of UPSC Application Fees. Selection of the candidates for the post of Indian Administrative Services Exam will be based on the performance in Preliminary (Objective Type Question Paper) and main exam (Written). After that, those candidates who will be declared qualified in the Civil service exam, they have to appear in the interview round followed by document verification. IAS Pre Exam 2018 consists of two papers of objective type (multiple-choice questions) carrying a maximum of 400 marks. UPSC IAS Question Papers (Test Booklets) are set in English as well as in Hindi. Candidates may check the IAS Preparations Tips with IAS Syllabus and prepare accordingly. Candidates cancheck the complete UPSC Exam Pattern, by going through the table presented below. Candidates will face a penalty of marks (negative marking) for every wrong answermade in the Objective Type Question Papers. Candidates may also take help from IAS Sample Paper to get relived from negative marking. How to fill UPSC IAS Application Form 2018? In order to appear in the IAS Preliminary Examination, candidates have to follow the steps that are featured below, to fill UPSC IAS Application Form. Scanned photograph should be in JPG format. The digital size of file must be less than 40 kb and greater than 3 kb and resolution 140 pixel height by 110 pixel width and Bit Depth of image file should be 24 bit. The digital size of each file must be less than 40 kb and greater than 1 kb and resolution 110 pixel height by 140 pixel width and Bit Depth of image file should be 24 bit. Candidates can go through the UPSCCalendar, to get the entire details of the IAS Exam 2018. 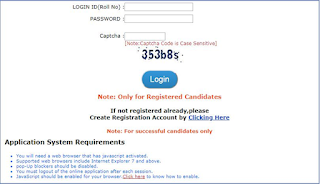 Candidates may check Official Link, to get additional details about UPSC IAS Application Form 2018. Candidatesmay also subscribeour web page that is www.privatejobshub.into get all the information regarding Indian Administrative Services Exams directly to the mailbox.